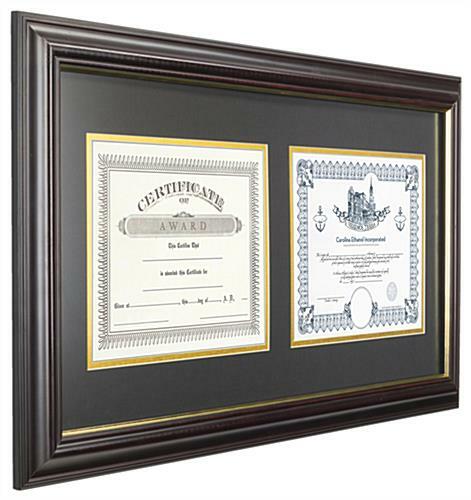 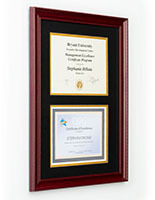 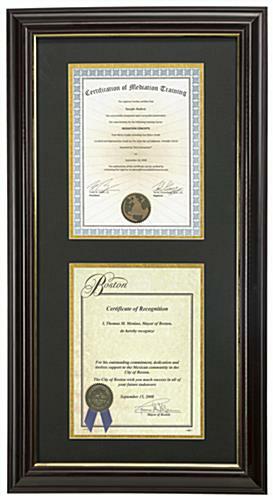 The double diploma frames hold (2) 8.5" x 11" degrees in a landscape orientation. 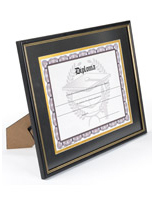 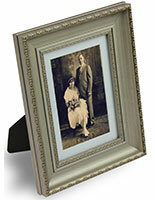 Without the matted interior, each certificate holder can display a 27" x 13" photograph. 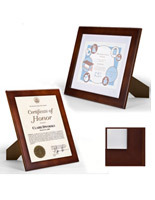 The diploma frames feature a dark brown wood border and an attractive gold trim that highlights its contents. 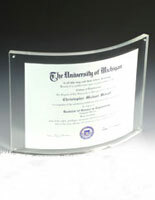 The fixtures are made to be wall mounted and have an easy-change rear loading door for inserting degrees. 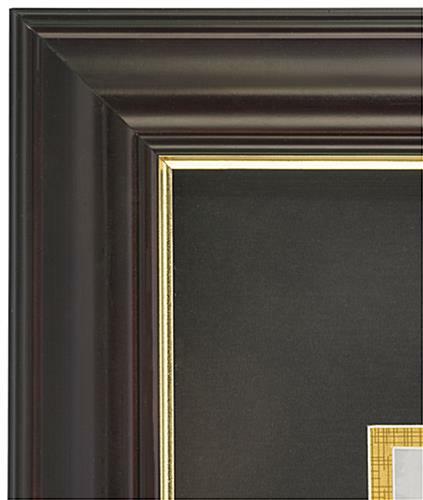 The matted frames with a gold trim look great in any home or office and will complement their contents without distracting from them. 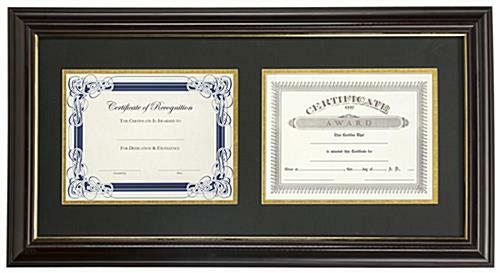 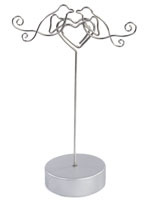 The certificate holders feature a rear door for quickly changing inserts. 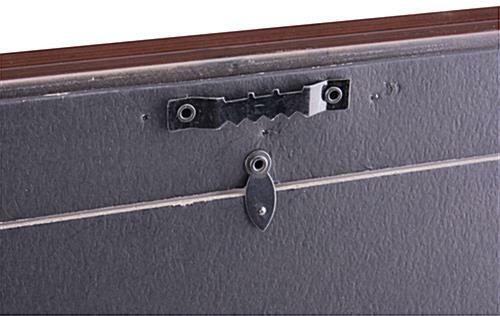 30.3" x 16.3" x 1.0"
8.5" x 11", 13" x 27"